To raise awareness of the Filipinos to the other side of Philippine Cinema and pay tribute to Filipino Films that are garnering awards globally, the Metro Manila Film Festival (MMFF) is organizing the MMFF Tribute to Independent Cinema which will be held from December 17-21, 2011 at the Robinson’s Galleria. Cash Prizes and Trophies for winners of Best Independent Feature, Best Student Short, Best in Gender Sensitivity. Entry submission has been extended up to November 15, 2011. Submit DVD entries to MMDA's MMFF division or to Spark Films, 1007 Metropolitan Avenue in Makati City. There would be one venue or theater for this festival which will screen in alternating schedules: 5 Features and 10 Student short films. • The film must have been produced between January 2010- October 31 2011. • The film must not have a theatrical run nor participated in either the Cinemalaya or Cinemanila Film Festivals. It should be a Philippine Premiere. • The film must have Filipino content and with Filipino principal cast. • The duration of the feature film must have a minimum of 60 mins and a maximum of 115 mins. The Student Short must not exceed 12 minutes with credits. • The film must not have been produced by a major TV network or Film Production company. 2. Presentation Format: For screening, films can be supplied either in the traditional 35mm film format or DVD NTSC. 3. All entries must be submitted to the MMFF office by 6pm of November 15, 2011. 4. A selection committee from the MMFF will choose 5 features and 10 student short films to be in competition. 5. Entries to the Student short film category must be accompanied by an endorsement letter from either, the Principal, Dean or the Department head stating that the entry is the school’s official entry to the MMFF Tribute to Independent Cinema Festival. 1. A jury of 5 will choose the winner for the Best Independent Film and the Best Student Film. The director of the Best Independent Film will receive P100,000 while the school of the Best Student Film winner will also receive P25,000. 2. An Audience Prize will also be given to the Best Student Film with the biggest audience. 1. Each screening will have one to two short films followed by a full length feature and would be scheduled as a group and designated as Group A, Group B, Group C, Group D and Group E.
2. All films will have their gala screening on December 18, 2011. There will be 5 screening schedules for the entries. Three screenings in the afternoon and Two in the evening. From December 19-21, the screenings of each film will have a alternating system so that the entries will have a total of 4 screenings: 2 in the afternoon and 2 in the evening. 1. Ticket Sales. Directors of the Independent films will receive 50% of their film’s net revenue. 2. MTRCB Permit. The MMFF will cover the expense for the MTRCB permits of the selected entries. 3. Gala Screening. 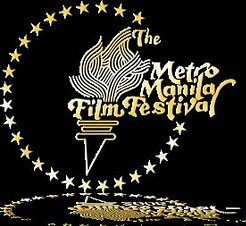 In lieu of a float for the MMFF Parade, the MMFF will sponsor a Gala Screening for each of the 5 entries with the accompanying short films on December 18, 2011. For more information, you can email Mr. Mark Meily, Chairman, Independent Film Committee, MMFF: meilymeily@yahoo.com. You can also add the Facebook Page of Metro Manila Film Festival - Next Wave.